All you Dr. Pepper fans out there can rejoice! 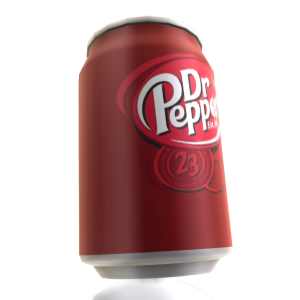 You can now have a Dr. pepper Soda Can head on your XBOX Avatar. Look for the Dr. Pepper Advert on the US Dashboard to download this funny FREE Avatar Hat! This entry was posted on August 6, 2013 at 2:10 PM and is filed under Avatar Related News with tags Advert, Avatar, Avatar Marketplace, Can, Dashboard, Dr. Pepper, Exclusive, FREE, Freebie, Gear, Hat, Head, Helmet, Items, Marketplace, New Release, Rare, Soda, Xbox, XBOX 360, XBOX Avatar, XBOX Marketplace, XBOX360. You can follow any responses to this entry through the RSS 2.0 feed. You can leave a response, or trackback from your own site. We have heard that it does not work. Dr. Pepper. That drink is the drink of the chosen who shall ascend to the heavens. And no!! Second controller trick does NOT work. Just tried it! is the event over? I cant find it on the dashboard. Is the event over? I can’t find it on the dashboard. I found this a couple days ago, I was to lazy to post about it. Is the can head still on dashboard? Idk guys it worked for me but im from us so yea hope it works for yall :).I have a friend at spain so ill check up with him. Anybody know any new items yet? i got this item today. i cant find the add is there another way i found it with my sons account on my other Xbox but mine never has it.